These women's stories reveal what it takes—and what it has meant—to be a high-profile female lawbreaker in America. Strunk introduces us to Kathryn "Mrs. Machine Gun" Kelly, Ma Barker, and Bonnie Parker from the 1930s, and, from the 1970s, we meet heiress-turned-revolutionary Patty Hearst, five other women of the Symbionese Liberation Army, and Black Panther Assata Shakur. All saw themselves as struggling against an oppressive legal system. All became "wanted" criminals and would play a part in shaping Hoover's legacy. And all spent enormous amounts of energy attempting to manipulate public opinion in their favor. Strunk argues that each woman's public persona was to some degree invented by Hoover, who saw outlaw women as an alarming threat to public morality. He went after them with a vengeance, but in many ways his obsession only added to their reputations. 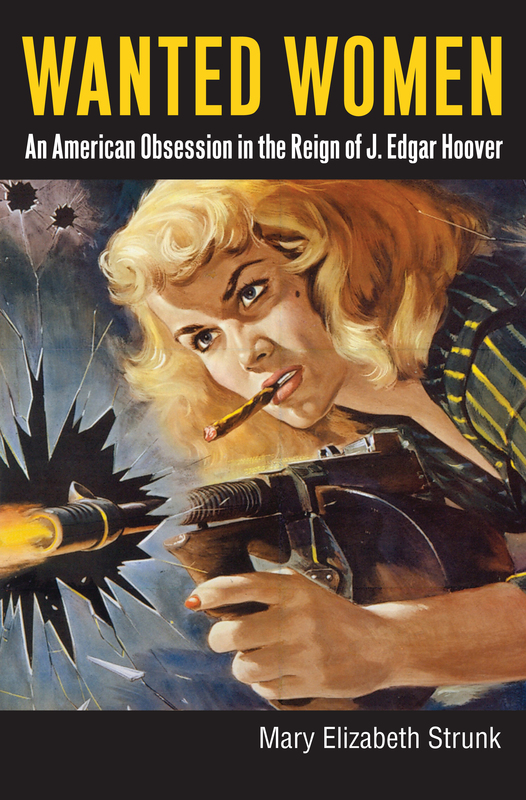 Strunk shows how Hoover's repeated use of popular culture to publicize the threat of violent women initially succeeded in strengthening his FBI, but his approach became a liability by the time law enforcement was pitted against the women outlaws of the 1970s. The book chronicles the careers of these infamous outlaws both in the real world and in popular culture—film, ads, true-crime stories, autobiographies—as well as Hoover's own forays into filmmaking. It boasts 27 compelling images of movie stills, wanted posters, and other ephemera that have been assembled nowhere else, including rarely reproduced SLA artifacts. Strunk's book is the first study to define the narrow "formula" necessary for a woman to cross over from criminal to outlaw. Hitting on key notes of American culture from Black and gender studies to cinematic and legal history, Wanted Women sets a new benchmark for how we view women and crime as it contributes fresh insights into twentieth-century social history. Mary Elizabeth Strunk is an associate of Five Colleges, Incorporated. She writes and teaches in Western Massachusetts.